Combat sports, an eclectic blend of raw power, agility and dexterity, also feature a surprising mix of top performing nations. Within the Global Cup, the ranking of the world’s best sporting nations, we have created the Combat Sports ranking by aggregating the results from the top international tournaments in seven different sports: Free Wrestling, Greco-Roman Wrestling, Judo, Karate, Taekwondo, Amateur Boxing and Fencing. The sporting year 2017 is far from over, but all the major tournaments in Combat Sports have already been contested (Karate wasn’t featured this year), so the overall ranking below is also the definitive one for 2017. Russia have reclaimed the title they lost to Japan in 2016, only the second time since GSN records began they did fail to win (China, only 16th this year, took first place in 2008). 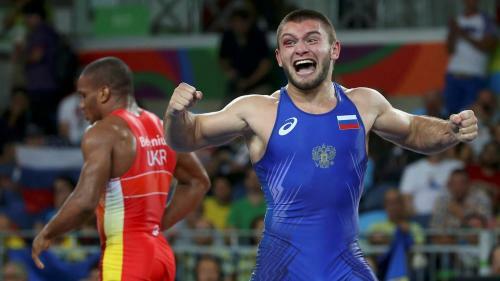 Russia’s margin was narrower than in the past, and they came first in only one of the group’s individual sports (Greco-Roman Wrestling), losing the Fencing and Free Wrestling crowns they won last year, to Italy and the USA respectively. Behind Russia, second-placed Japan were outstanding in Judo but also strong in Wrestling (they were third in the combined Wrestling ranking), while third-placed South Korea were, as usual, dominant in Taekwondo but also emerged as a contender in Fencing, and were the only country besides Russia to score in all the group’s individual sports. The USA (4th) and Azerbaijan (5th) were the only other nations which posted a good all-round performance, scoring points in all the sports but one - Judo for the USA and Fencing for Azerbaijan. In fact, the latter have confirmed their role as an emerging power in the sport group: after finishing in 3rd place in 2010, they dipped somewhat, but have always finished in the top 5 in the last three years. Combat sports account for 95.6% of Azerbaijan’s Global Cup points this year, and the share was 83.6% last year. France lost out after a stellar 2016, when they finished second in the sport group (and in the overall Global Cup), and their sixth place in 2017 was their worst result ever in Combat Sports. As usual, the Combat Sports group proved also to be one of the most diverse in national participation: 79 different nations scored points in it this year!